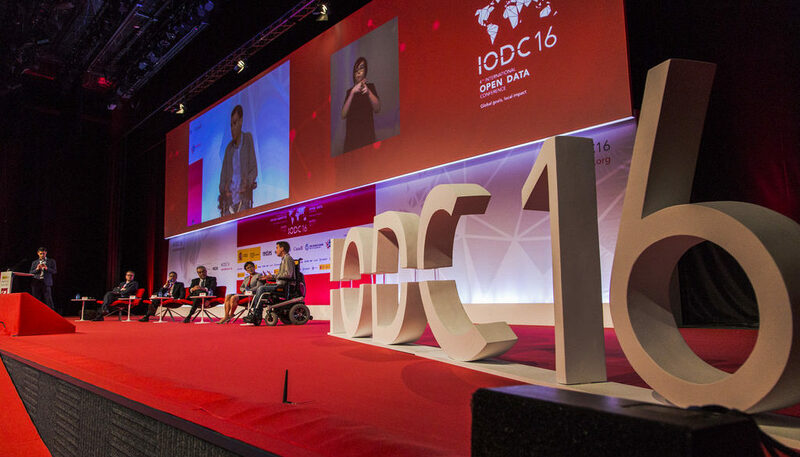 Post #IODC16: Will The Real Open Data Movement Please Stand Up! Isn’t it nice to be back in Europe after 2 months – this time in the city of Madrid, not to see the Santiago Bernebeu, or a bull fight, but for the 4th International Open Data Conference (IODC) between October 6 – 7, 2016, the second I will be attending after the IODC in Ottawa, Canada in 2015. These IODC’s always bring back memories of the Open Knowledge Festival where you can be overwhelmed with information due to concurrent sessions taking place at the same time. The IODC in Madrid alone had 87 talks, 28-preevents, 1.660 attendees and lots of hours of shared experiences, with new networks in the kitty, and I was opportune to speak at the Indigenous Open Data Summit, a pre-event of the IODC, and also a speaker and Impact Panelist on Data + Accountability session of the IODC on the first day. Surprisingly, the word “open washing” came out of this conference like it never had before, and I am still pondering over this like, isn’t this the same that has happened to any multi – stakeholder movement. The truth is that it has become difficult for development to persist without politics of governments. The government in this sense can now be categorised into the government of developed countries, and those of developing countries. My thoughts here are for the government of developing countries, who have not realised the potentials inherent in Open Data. They do not have to do Open Data because it is been sponsored by another government organisation, they can look inwards (if they have the right kind of eyes) and find benefits. For instance, infrastructure dataset could be made accessible to citizens, while entrepreneurs can build tools based on the available data public use. An example could have been Doctors Office a mobile application that provides patient with a doctor to talk to, and also a healthcare locator. Although at its early stage, I asked the creator of the platform what their plans were to make this available on feature phones, so rural communities could have access as this can reduce lots of waiting time, and unacceptable death due to emergencies. Also Imagine what cmapIT can do if location dataset is made available by the government of Nigeria – Government should collaborate with this entrepreneurs, and open up these datasets while they get revenue accrued from tax – that’s what government should be doing! Having said that, there is a renewed interest in open data by national statistics offices of countries. Talking to Mohamed Salimi, the Chief of the division of the statistics office in Rabat, Morroco made me had a sense of the direction of most statistics office and their interest in open data. Perhaps, to create more data for entrepreneurs in their countries, and largely an opportunity for them acquire knowledge on data processes. Systems that allow for capacity building is key to the open data movement, the people on the supply side must revamp the systems that operate within their organisation to allow for effective use of training within their institutions – I mean, how do you expect the culture of open data in an institution that still cannot run an organization email. As much as it is important to train government officials, it is also pertinent that we strengthen citizens knowledge on the use of data – which the school of data has started already, but a lot still needs to be done! During the two sessions that I presented our Follow The Money work, I was asked on our relationship with the government, and how we hope to make the initiative locally owned other than some set of people determining campaigns in communities. Simply put, when we started, we were like an enemy of the government, but recently, government agencies had turned partners, but at arm’s length, with no MOU 😉 When we have contractors for government projects sending weekly situation reports to us on project implementation, then we are partners. In answer to the second question, we have community reporters leading campaigns in 29 states out of the 36 states and the Federal Capital Territory of Nigeria but cannot initiate campaigns because we have not done proper orientation for them, but the idea is for them to own it. Going forward, you should look out for the next episode of Follow The Money driven by community champions themselves – how we did this, will be presented at the next IODC in Buenous Aires, Argentina. See you there!